A round garden well complete with step and hand carved wrought iron with round decorated parts. In all sides in relief grapes and leaves decoration, round step. 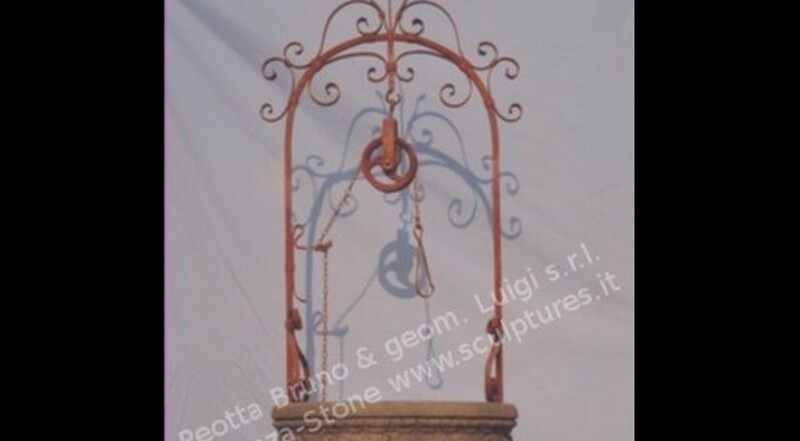 The wellhead was used in Venice, have most of 150 wells around the rivers and places; used also in the private gardens of Palladio Villas as decoration. Dimensions: Well Diameter 31 1/2"; Step Diameter 51"